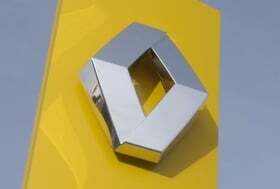 PARIS (Bloomberg) – An investigation by Renault SA into alleged leaks of EV secrets by company executives uncovered links to several Chinese companies and one in another country, a French official with knowledge of the probe said. Renault traced payments by China State Grid Corp., the state-owned power distributor, into accounts in Liechtenstein and Switzerland held by two of three executives suspended by Renault, the official said, confirming a Tuesday report in Le Figaro. The official, who declined to be named because the investigation is confidential, would not identify the companies or the second country involved. China rejected the reports. “The accusations are baseless and irresponsible, and the Chinese side cannot accept them,” Hong Lei, a spokesman for the foreign ministry, told reporters in Beijing on Tuesday. A State Grid spokesman said the company is “closely watching the development of the issue.” “We will also present our latest plans and actions about building electric-car charging networks,” a company statement said. Michel Balthazard, the highest-ranking of the executives suspended without pay Jan. 3, refuted Renault's accusations in comments to RTL radio as he arrived yesterday at company headquarters in the Paris suburb of Boulogne-Billancourt. As vice president for long-term product development, Balthazard is on the 27-member management committee chaired by CEO Carlos Ghosn. Another suspended executive, Matthieu Tenenbaum, previously worked at Nissan before overseeing development of four battery-powered Renault models as deputy head of its electric-vehicle program. Tenenbaum has received no explanation for his suspension, his lawyer Thibault de Montbrial said in an interview. Carlos Tavares, an executive vice president at Nissan, said Jan. 10 at the Detroit auto show that it's “premature” to comment on what is being investigated. “We at Nissan trust that our partner Renault will fix it,” he said. LG Chem Ltd., a South Korea-based unit of LG Group that has a contract to supply additional power packs to Renault, said on Jan. 10 the French carmaker had confirmed that none of its designs were leaked.